Our Help Desk offers assistance in fault identification, fault analysis, cause investigations, preventive mitigation and maintenance strategies. Including a 24/7 Hotline with fast response and action in any case, it is a service on which shipping companies and ship crew can rely. 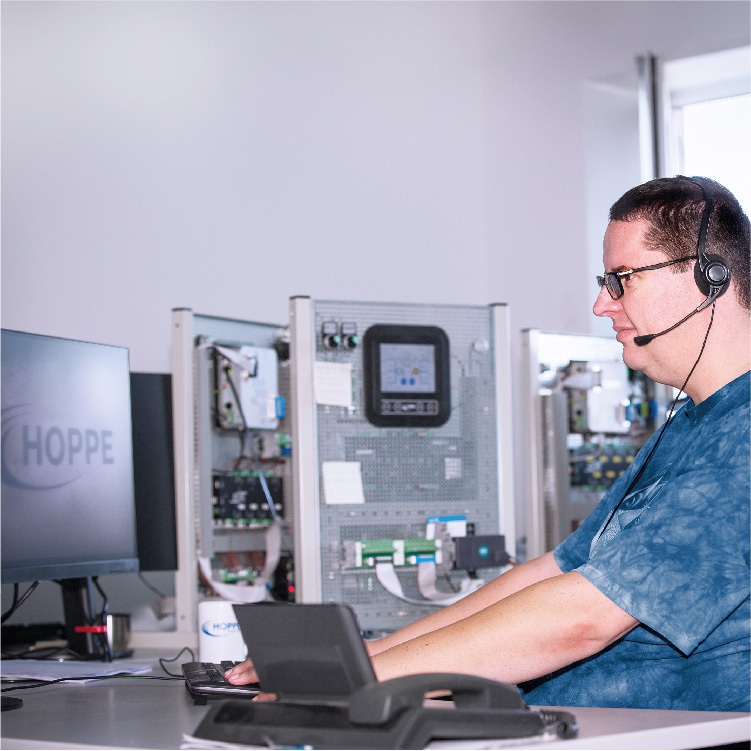 Taylor-made on-board crew trainings as well as in-house trainings at Hoppe facilities or customer facilities assure the knowledge transfer to the people which are finally operating the Hoppe systems, resulting in proper handling and maintenance “without questions”.